W.C. Gentry ’69, recipient of the 2014 Distinguished Alumni Award, is a renowned Jacksonville University alumnus who has contributed to our beautiful campus through many projects, including the W.C. and Susan Gentry Nature Preserve and Boardwalk, the Gentry Family docks, and the football locker room renovations. The boardwalk is a breathtaking eastside entryway to the Marine Science Research Institute. His support also funded the docks that houses our new floating classroom. 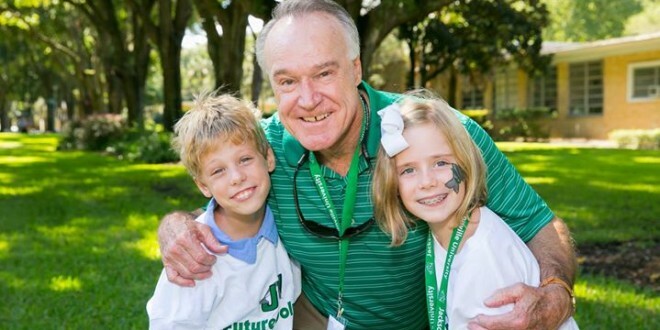 While W.C. is an exemplary example of a community leader, he is also a JU alumnus pioneer. Throughout his legal career, his service on the Duval County School Board, and via his philanthropy Gentry has made major contributions to many organizations including the Schultz Center, the Sulzbacher Center, The University of Florida and JU. Not only did he excel in the courtroom, but he also actively contributed to the legal profession through organizations including the Board of Governors of the Academy of Florida Trial Lawyers, of which he ultimately became its President. In 1987 the mayor of the City of Jacksonville appointed Gentry to be special counsel on environmental issues. After September 11, 2001, Gentry devoted his time to helping families who had lost their loved ones by serving on the Founding Board of Trustees of Trial Lawyers Care, to provide free legal services to victims, families and first responders.